Two-time Indian Super League champions Chennaiyin FC have announced a 25-man squad for their 2019 AFC Cup qualifying playoff round against Sri Lanka’s Colombo FC and the big news is the inclusion of local favourite Dhanpal Ganesh, who missed CFC’s entire ISL title defence due to a knee injury. It was also announced that Chennaiyin FC will be playing the home match of the two-legged qualifying tie at The Arena by TransStadia, Ahmedabad since playing Sri Lankan opponents in Tamil Nadu would not be politically conducive. This is Chennaiyin’s debut AFC Cup campaign following their 2017-18 ISL title success and they are placed in the South Asian Zone of the competition. This qualifying tie against Colombo FC is for a place in the group stage of the 2019 AFC Cup. Colombo defeated Bhutan’s Transport United 9-2 on aggregate in the preliminary round and will be hosting Chennaiyin in the first leg at the Colombo Race Course Ground in Colombo on Wednesday March 6 2019. Chennaiyin’s home leg will be played in Ahmedabad on Wednesday March 13 2019. Australian Chris Herd, who joined CFC in the January transfer window, will be the club’s Asian player in the qualifier with the Brazilian trio of Mailson Alves, Eli Sabia and Raphael Augusto being the other three foreigners. Four youth team players have also been included in the squad. Defender Hendry Antonay (U-18 & B team) and midfielder Zonunmawia (B team), who were also part of the 2018-19 ISL first team squad, are joined by defender Reamsochung Aimol (B team) and forward Bawlte Rohmingthanga (B team). 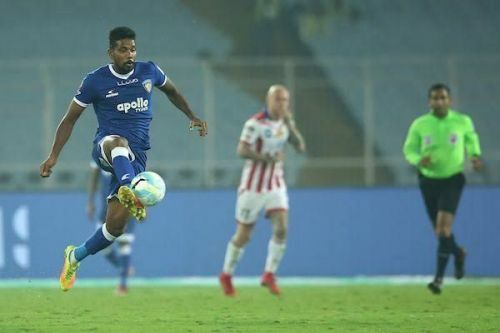 Following the 1-0 defeat away to FC Goa in their final 2018-19 ISL fixture on Thursday, Chennaiyin will continue their AFC Cup preparations in Goa and leave for Sri Lanka on Monday March 4.